Yay who wouldn’t like a new digital camera?? 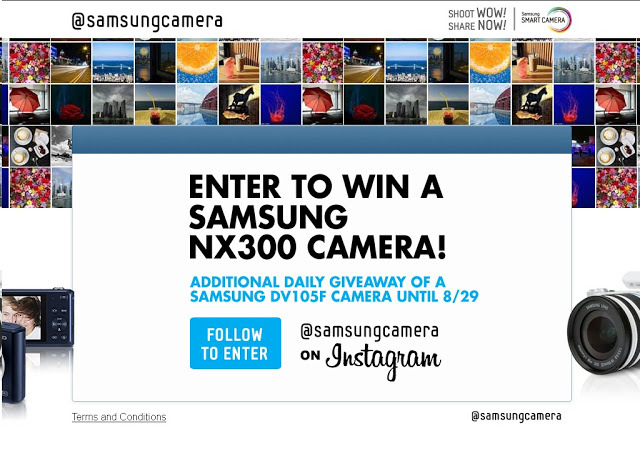 Good news is… Samsung is giving away a digital camera. A brand new Samsung NX300 Camera. Follow Samsung Camera in instagram. Refer friends to follow in instagram. Share on your twitter and facebook account to increase your adds in winning.